Healthcare is one of the fastest growing industries. To offer quality care to patients, a large pool of well-trained, dedicated medical professionals and cost saving clinical procedures are required. Besides employing doctors, nurses, medical residents and interns, healthcare sector also has support staff – people involved in front desk to back end transactional operations. Undoubtedly, this sector is significantly workforce-intensive. Managing such a large strength of employees and taking well informed decisions is a pressing issue in this sector. 51% of healthcare professionals face lack of career advancement opportunities in their current job role. Lack of training puts an end to their skill development and career growth. In a survey by CareerBuilder, medical professionals were asked if their current employer offered employee development programs, including in-house skills training, education reimbursement, technology training and opportunity for innovation. 50% of the survey takers answered a YES for only 1 program, i.e. in-house skill training. This left an assumption behind that remaining 9 skill development programs were at low priority for the employers. Inadequate training and development opportunities leave the hospital staff dissatisfied, demotivated and unfocused. Reports suggest that medical professionals feel unhappy due to limited cross-training opportunities and monotony in their jobs. Training is not only important to improve employee performance, but also ensures that employees get ample opportunities to develop skills, move ahead in career and feel satisfied always. Increasing attrition rate is another big challenge for healthcare organizations. Employees often quit job because of poor work culture, increased workload, absence of rewards, and lack of technology innovation to speed up processes. Further, working in multiple shifts affects physical and mental health, work life balance and increases fatigue. Lack of appreciation and recognition adds fuel to the fire. The result is, demotivation and detachment from work and employee turnover. Providing patient-centric services and high-quality care is a priority. The job requires commitment. Dealing with employee performance issues in healthcare is vital. Absence of a systematic performance measurement process makes it difficult to review performance using the correct set of attributes. While several issues may overtake a hospital, it is important to not undervalue performance evaluation and document performance constantly. The need to set performance goals often remains ignored. Thus, employees aren’t aware of what’s exactly expected from them. Setting well-defined goals can be a first step in measuring accountability and performance. Hold medical staff accountable for their actions. Increase ongoing interactions between staff and patients to leave a lasting impression and provide positive experience to the patients. Setting goals is crucial to improve performance levels, and in turn it improves the quality of services provided to patients. Aligning individual goals to organizational objectives is further necessary to improve employee performance. Tracking employee performance can be challenging in absence of goals. Once-a-year performance evaluations limit managers to provide real-time feedback to the team. Monitor goal progress and review performance continuously to ensure that performance goals are achieved successfully. Identify areas of improvement for each individual and offer them development opportunities by having ongoing performance reviews. A Performance Management process aims at improving employee performance, building high performing workforce and delivering high quality services. With a systematic approach, a healthcare organization can manage medical activities efficiently and promote service quality improvement. Realizing full potential of a performance management system in healthcare industry is vital. Data-rich tools can help in informed decision making, streamline processes, build high performing workforce and improve quality of patient centric services. Create a set of clearly defined performance goals for your medical staff and review and track the achievements through a well-designed Performance Management tool. Simplify the way to manage performance, set goals, develop skills, identify and reward top performers, and improve quality of services. Build a productive, motivated and engaged workforce that delivers high quality healthcare services. 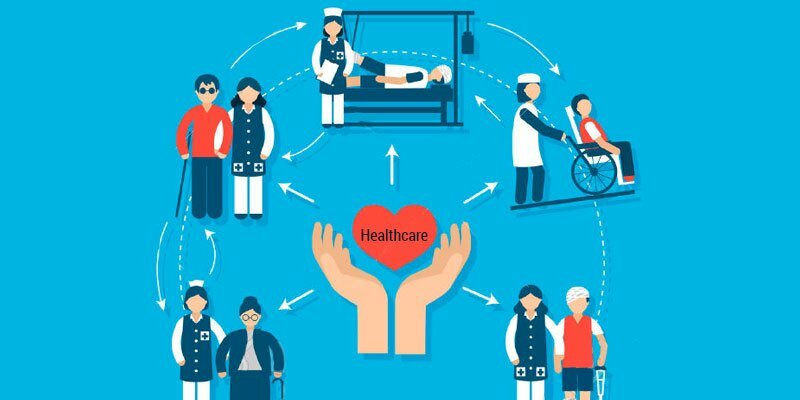 How To Improve Workforce Engagement In The U.S. Healthcare Industry? How to Make Performance Reviews More Meaningful? Set, Monitor & Track SMART Goals Easily, Like Never Before!